Nacional De Futbol Montevideo (LUB) added to their roster 32-year old American forward Anthony Danridge (196-86kg-86, college: N.Mexico). It is actually his comeback to Montevideo as he has played here before. 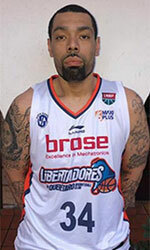 Danridge played last summer at San Jose in Paraguayan Metropolitan League. He helped them to win the regular season and make it to the final. The most of last season Danridge spent at Nacional where in 40 LUB games he recorded very impressive stats: 23.6ppg, 3.7rpg, 3.9apg and 1.2spg. He contributed to his team making it to the semifinals. A very spectacular season in his career as he was voted to Latinbasket.com All-Uruguay LUB 1st Team, All-Imports Team and League Player of the Week (4 times). 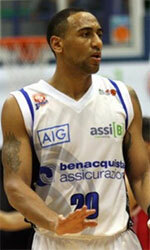 Danridge also spent pre-season at Aguada that year. Great season indeed as he was voted to Latinbasket.com All-Uruguay LUB 1st Team, All-Imports Team and also here League Player of the Week (4 times). The list of the past achievements is quite long as among others he was voted Latinbasket.com All-Uruguayan Ascenso League Player of the Year in 2016. Danridge is quite experienced player. His career allowed him to visit three different continents, while he played in seven different countries. Danridge tasted the life as pro basketball player in Asia, Latin America and of course North America. He has played previously professionally in Argentina (Libertad Sunchales), Chile (Universidad de Concepcion and Liceo Mixto), Lebanon (Byblos), Venezuela, Uruguay (Defensor, Atenas, Larranaga and Sayago), Ecuador (Universidad Tecnologica Equinoc. Quito) and NBA G League (Canton Charge). Danridge attended University of New Mexico until 2009 and it will be his tenth season as a professional player.